If you are under the age of 21, you must blow into a breath testing device if a police officer requests it, or you could lose your driver’s license for a year. If you are on probation for a prior DUI conviction, you must also blow into a breath testing device if a police officer requests it. 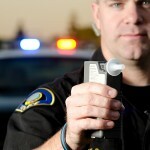 One term of probation is that you may not drive with any measurable amount of alcohol in your blood. If you refuse to submit to a breath test, you could lose your driver’s license for a year along with a penalty for violating the terms of your probation. Unless one of these two exceptions applies to you, never blow into an alcohol breath testing device when asked to do so by a police officer. If you’re accused of DUI in southern California, now or in the future, get the help you need and speak at once with an experienced Orange County DUI lawyer. 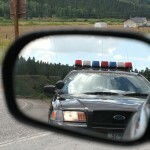 When you’re stopped by a police officer who conducts a DUI investigation, the officer may ask you to blow into a Preliminary Alcohol Screening (PAS) Machine. You have the right to decline this test. California Law requires the officer to advise you that the PAS test is voluntary and that you have the right to decline it. Sometimes officers neglect to advise drivers of this right. Perhaps the most important reason that you should never blow into an alcohol breath testing device is a recent ruling from the California Supreme Court. In People v. Vangelder, the court decided that defendants accused of driving with a blood alcohol content level above 0.08 percent (the “legal limit”) cannot challenge the science and overall reliability of breath testing devices. The Vangelder ruling does not eliminate your right to challenge the accuracy of a particular breath test result, but it prevents defendants from challenging the “science” of alcohol breath testing. Decline the breath test, but be polite. You’ll probably be arrested after declining, but don’t panic. Make the call at once and put your DUI case in the hands of a trustworthy, experienced Orange County DUI lawyer as quickly as possible.